October 26, 2017 -- Point-of-care ultrasound (POCUS) is an effective tool that is increasingly being implemented to help diagnose disease and plan treatment. The technology is particularly useful for finding fluid, according to a study published online October 23 in JAMA Internal Medicine. Dr. Rachel Liu from Yale School of Medicine. 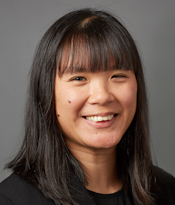 Localizing fluid can make ensuing procedures safer and more effective, according to a team led by Dr. Rachel Liu of Yale School of Medicine. "[Point-of-care ultrasound] can improve the safety and success of accessing fluid-filled spaces through procedural guidance, and guidelines increasingly recognize ultrasonographic guidance as the standard of care," the group wrote. However, POCUS does require some skill, according to Liu and colleagues. "Appropriate use of point-of-care ultrasound requires investment in equipment, adequate education and training, and understanding limitations of both the technology and the user," the researchers wrote. "Performing high-quality POCUS requires comprehension of basic concepts in ultrasonography, knowledge of normal and pathological anatomy, and skill in both acquiring and interpreting images." POCUS has been shown to reduce hospital stays and healthcare costs, while also improving diagnostic accuracy and the safety and success of procedures, Liu and colleagues wrote. In fact, some compare it to the stethoscope in its potential to influence medical practice (JAMA Intern Med, October 23, 2017). "Just as the stethoscope improved upon existing examination techniques, POCUS used by medical students and residents with focused training has been shown to offer more diagnostic accuracy than either their own physical examinations or those of experienced clinicians," the researchers wrote. Pulmonary edema. Ultrasound can image the pleural line, where the interaction of the parietal and visceral pleura creates a sliding appearance of lung pleura against the chest wall, the group wrote. The presence of abnormal interstitial fluid is called alveolar interstitial syndrome and can cause pulmonary edema or fibrosis. It can be identified by detecting ultrasound B-lines (the reverberation artifact at the pleural line). A linear probe works best for imaging the pleural line and should be oriented sagittally with the indicator toward the patient's head, Liu and colleagues noted. "Most often in the acute medical setting, assessment for B-lines is performed when there is concern for fluid overload states or decompensated heart failure," they wrote. Pericardial effusion. Practitioners should use a phased-array probe to evaluate this condition, which can be fatal. The pericardium will appear as a hyperechoic layer around the heart, and effusion will appear as an anechoic or hypoechoic space between the visceral and parietal layers, according to the researchers. "While large effusions are often straightforward to diagnose, it is important to be aware of the normal appearance of pericardial fatty tissue to avoid overcalling an effusion," they wrote. Peritoneal fluid. Ultrasound is the gold standard for diagnosing ascites, or the buildup of protein-containing fluid within the abdomen. It can identify as little as 100 mL of fluid, while physical examination is estimated to be about 45% to 84% sensitive and 59% to 90% specific, with overall accuracy under 60%, according to Liu's team. "The curvilinear probe should be used to assess for intraperitoneal fluid, but a phased-array probe may also suffice," the group wrote. "Typically, the examination begins with the probe placed on the right flank at the midaxillary line, using a coronal orientation." Fluid removal. Ultrasound can improve the success of paracentesis and thoracentesis by detecting the largest areas of fluid closest to the skin surface, Liu and colleagues noted. All three probes can be used: The curvilinear and phased array may be more helpful in delineating fluid, while the linear probe offers superficial detail. POCUS has been shown to improve the success of paracentesis compared with the traditional method of using anatomical landmarks, and ultrasound-guided thoracentesis has been shown to reduce morbidity associated with complications from the procedure, such as pneumothorax, the group wrote. POCUS is a user-dependent technology in two respects: image acquisition and interpretation, Liu's group noted. It definitely requires some training. "Physicians may think that POCUS is intended to answer yes or no questions -- that it's binary, so it's easy," Liu told AuntMinnie.com. "And sure, the concept of finding fluid isn't rocket science. But a good amount of practice and training is still needed to be accurate in diverse clinical situations. A medical student can pick up a probe and start doing it right away to help learn anatomy, but making complex clinical decisions using POCUS requires dedicated practice." Are physicians being trained to use ultrasound? Not as they could be, the researchers found. In 2014, only 28% of U.S. medical schools reported having a formal curriculum for ultrasonography, and in 2013, only about a fourth of entering residents reported exposure to bedside ultrasound. So it's extra important to institute a training program for POCUS, including how to handle incidental findings, Liu and colleagues wrote. "Ideally, POCUS would be incorporated longitudinally into residency training and overseen by experienced faculty, although this may take time to develop," they wrote. "Learning ultrasonography requires didactic and hands-on instruction combined with proctored clinical use." That physicians across many specialties -- emergency department, intensive care, and family practice -- are interested in POCUS is good news for radiology, according to Liu. "Radiologists can help train other physicians in point-of-care ultrasound -- for example, some have instituted hands-on participation during ward rounds, or they hold regular image review and quality assurance sessions with nonradiology physicians," she told AuntMinnie.com. "Also, some emergency departments employ sonographers to help with residency training and medical student education." In fact, radiology concepts aren't necessarily emphasized in medical school, and radiologists can help remedy that, she said. "Medical students might see a CT image next to an anatomy slide, but they don't necessarily learn about imaging at the same time," she said. "These are future doctors who will be making diagnostic decisions for patients, and it would be helpful for them to have a solid understanding of imaging concepts before they begin residency."